If you wish to showcase your ab definition, biceps swell, massive chest, broad shoulders, and powerful legs in summer, you need to get working in winter to build those. The cold winter months are the time when the lanky and newly initiated to bodybuilding work on gaining additional muscle mass. During these colder months, professional bodybuilders also choose to gain fat and muscle between shows to improve their strength, stamina and size. "In the hot summer months, an intense physical activity becomes dehydrating. In order to compensate for the loss of fluids, the fitness enthusiast has to drink a lot of liquid and he is not able to eat enough nutrients. 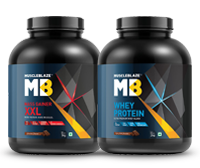 Naturally, in the absence of adequate nutrition, it is hard to gain muscle size and strength," clarifies Sangram Chougule, Mr. Universe 2012 and MuscleBlaze athlete. In sharp contrast to the hot and humid summer months, in winter, the digestive fire is at the strongest. Therefore, you are able to digest and assimilate larger quantity of foods. Moreover, as the temperature drops, you are able to eat more than usual. If you wish to showcase your ab definition, biceps swell, massive chest, broad shoulders, and powerful legs in summer, you need to get working in winter to build those. The cold winter months are the time when the lanky and newly initiated to bodybuilding work on gaining additional muscle mass. During these colder months, professional bodybuilders also choose to gain fat and muscle between shows to improve their strength, stamina, and size. Putting it simply bulking means to grow bigger in muscle size and strength and requires additional nutrients to fuel the process. Henceforth, anyone who wishes to bulk needs to eat 500 more calories, above his maintenance intake to pack on pounds. Stay away from dirty bulking by getting those 500 extra calories from nutritious sources. The amount of muscle you can build relies on your body?s ability to synthesize muscles from the protein you ate, and there is a limit to it. Your body can build between 0.25 to 0.5 pounds of dry muscle tissue in a week?s time, under ideal circumstances (perfect diet, training, recovery and supplementation). On an average, your body will process one or two pounds of muscle in a month. Calculate your calorie intake by multiplying your body weight in pounds with 15-17. The thumb rule to calculate your calorie intake is based on your body weight. Arrive at your calorie intake by multiplying your body weight in pounds with 15-17. If you are thin and lanky (Ectomorph body type), you are blessed with a super-efficient metabolism. However, such metabolism will make it difficult for you to gain weight and build mass. For ectomorphs, the protein carb ratio can run up to 1:5. When you supply your body with more calories than it can use for muscle building it will result in fat gain. If there is more of fat gain, you'll have to resort to strict dieting to get rid of that fat, which can be catabolic for you. Therefore, you risk losing the hard earned muscle that you so keenly wish to preserve, as when you restrict calories, your body goes into fat- preservation mode. When you force feed yourself in the dirty bulking, your body responds by adding fat cells to fill in the surplus calories. Adding fat cells is a one way street for your body, hence when you cut, you might reduce the fat content, but the cells do exist, therefore, your body becomes more liable to fat gain when the next time you bulk up. There are a few factors involved in building muscle mass in a human body, also known as hypertrophy or an increase in the skeletal muscle size. Mechanical tension is produced by the force generated and stretch induced in the muscle due to the process of lifting. When you train, your muscles tear. As a result, the body has to work hard to repair those muscle fibers. Repeated exercise causes repeated damage leading to repeated healing. This makes the muscle stronger and bigger. You can use workout to your advantage in the muscle building process, says Sangram. This is the first key to enhancing hypertrophy. There are 1000s of workouts on the face of this planet that people do. But all of them can be put into 2 broad categories ? Choosing either one of them is great, but they work best when combined together. Choose the right mixture of compound movements and isolated movements for enhanced muscle hypertrophy. Volume is the total reps, sets and load moved in a routine. A high volume workout consists of multiple sets and reps and is said to be superior to the single set, lower volume workout. By splitting the way we train our body, we can train each part with more volume compared to full body routine. Be particular about your workout intensity. Research has shown that the low and moderate repetitions are superior to the high repetitions to induce hypertrophy. Manipulating rest intervals the right way can result in manipulation of the volume and the intensity of the workouts and thus bring the focus on muscle hypertrophy. Choose the correct rest interval and get the greatest benefit. 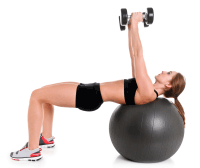 Muscle failure occurs when, in a set, the muscle cannot perform one more rep of the given weight. It is theorized that this way of training recruits the maximum muscle fibres, thus providing an added stimulus to hypertrophy. Train every set to failure to maximise your growth. To build the body you have always wanted, you need the support of premium supplements, emphasizes Sangram Chougule, because supplements fill in the calorie gap with premium nutrition and also give you an extra burst energy for an awesome workout. In real life, eating an extra helping of complex carbs and protein, in addition to your planned six meals in a day causes stomach upset and bloating. Moreover, vegetarians may find it difficult to meet their calorie allowance. 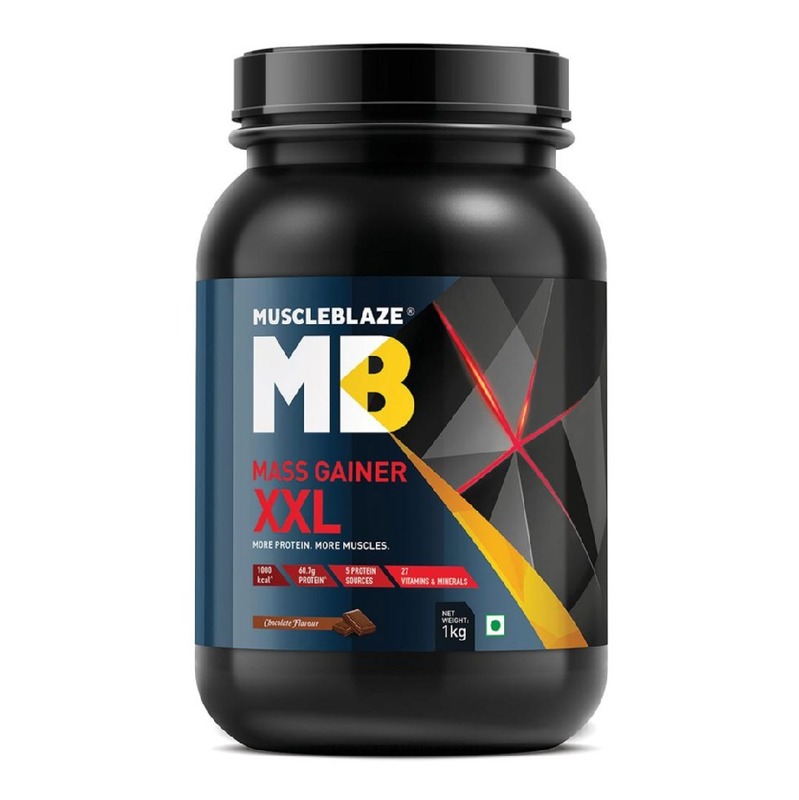 Mass Gainers come to your rescue and offer a convenient way to fill in the calorie void. Containing a generous dose of carbs and proteins in the ratio of 3:1, mass gainers provide clean nutrients and ample calories. While choosing a mass gainer, be careful about the source of carbs. It should be complex carbs as it takes a longer duration to digest. Watch out for the sugar intake, because sugar contains high calories without any nutrient. 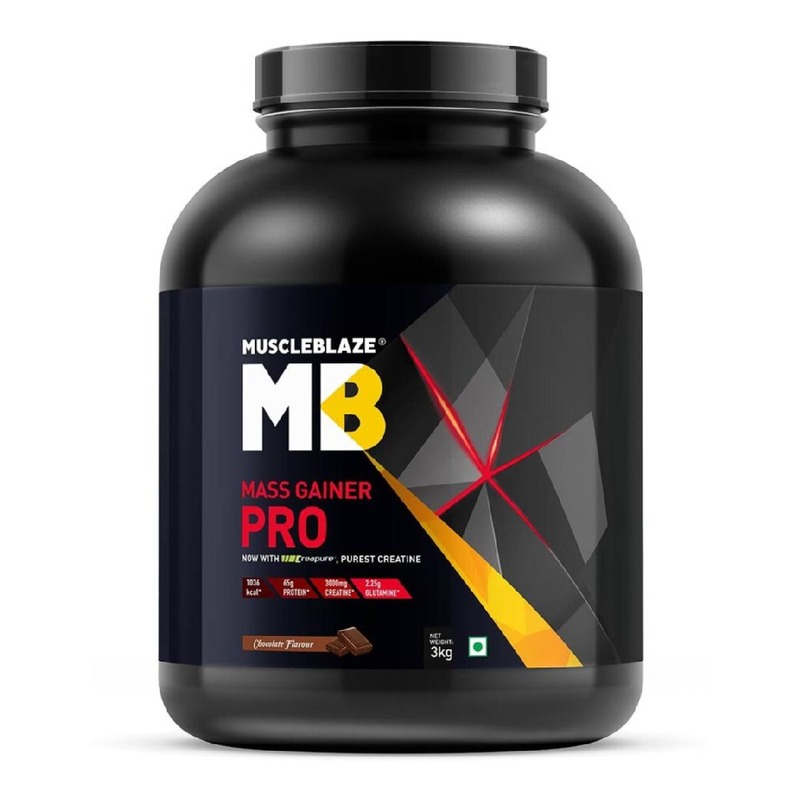 Most importantly, your mass gainer should have a blend of digestive enzymes so that you are able to assimilate the premium nutrients to trigger your muscle gain. 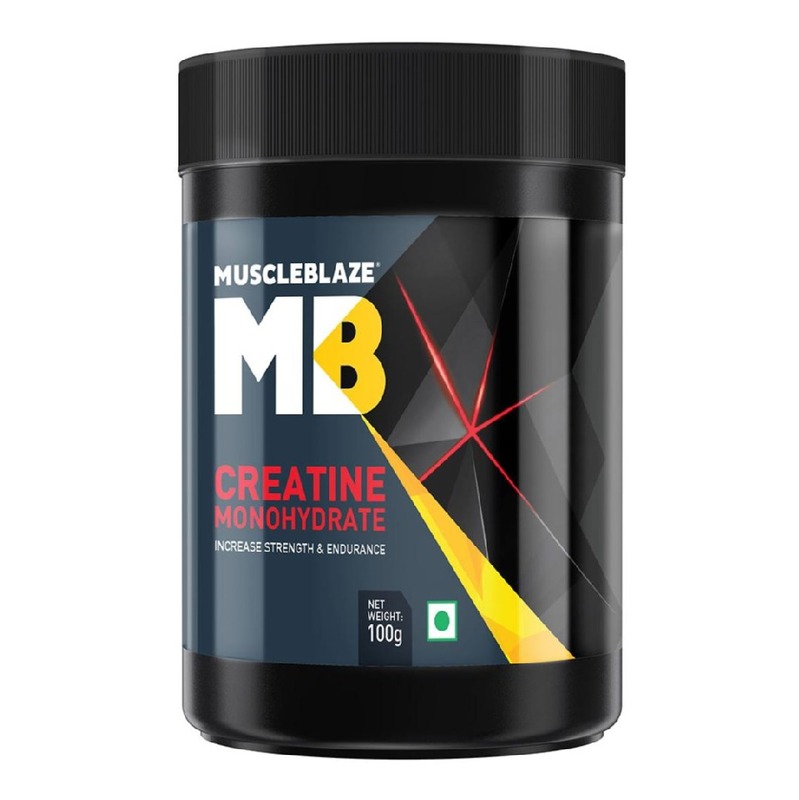 Build your workout intensity and ferocity with Creatine, the most researched supplement. Since it builds your ATP reserve (the body's energy currency) it makes you last longer in the gym. Most importantly, allow 48 hours of rest between workouts. Sleep well because you build your muscles outside the gym.